Right to Life Australia has many members who are experienced in lobbying, activism and other skills necessary to maintain the operation of the organisation. We encourage younger members of the community to become involved with us. The skills learnt over tens of years in the movement are important skills for young people interested in prolife issues to develop. 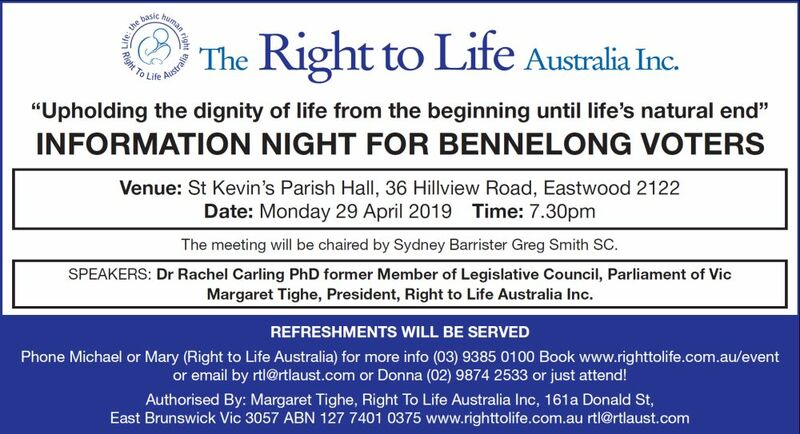 Contact us for more information about how you can play a role in the vital work of Right to Life Australia.